Went and got myself a bit of a project tiger. Well, hi Tiger 800 forum land. 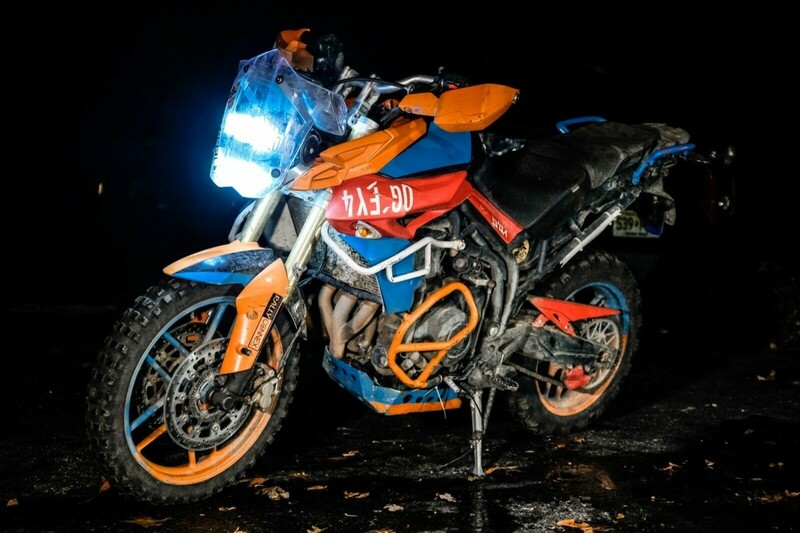 I did a thing and won an Ebay bid on a 2012 Tiger 800 Roadie that was thoroughly used as a rally bike. Somebody on here may recognize it from an event or YouTube. I'm the new owner and there is a little laundry list of things to do to get it back in fighting shape. My primary machine is a 2018 Street Triple R, so I am already hooked on Triumph through and through. I'll probably make a separate post in a different section asking advice on some of the repairs that need to be done, but my biggest concern right now is the bend & leaking front forks. Turns out I am having some trouble finding replacements online. Re: Went and got myself a bit of a project tiger. I like that. I'd consider getting the forks re-chromed. Part of the process is to make them straight again and you'll probably find the chrome will be thicker than the originals. I've used these http://dynasurf.co.uk/motorcycle-forks/ for various sets of forks. Very cool looking Tiger! welcome bud, have fun on it! I've used http://www.hardchromeplating.co.uk/ in the past - I'm pretty sure that they straightened a pair of slightly bent fork legs out for me as well as doing the plating and grinding.